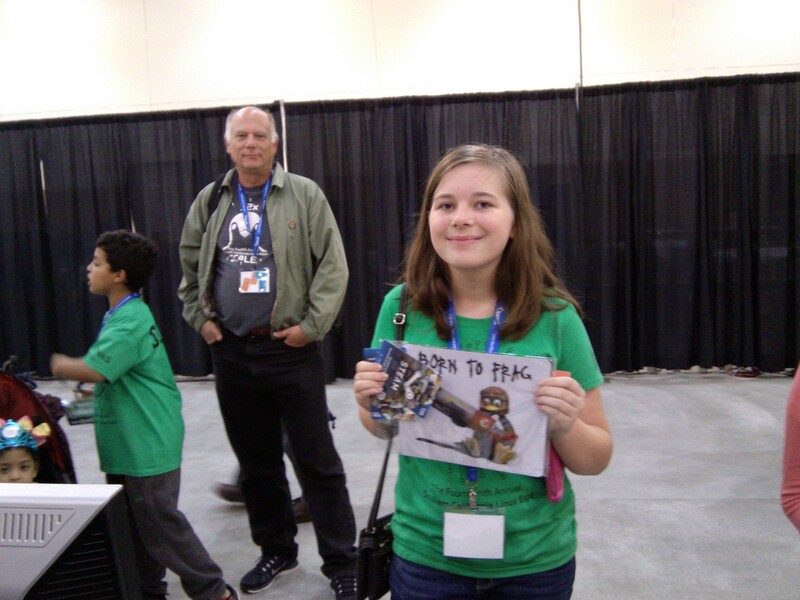 Be Polite, Be Helpful. A community for and by women interested in F/LOSS. 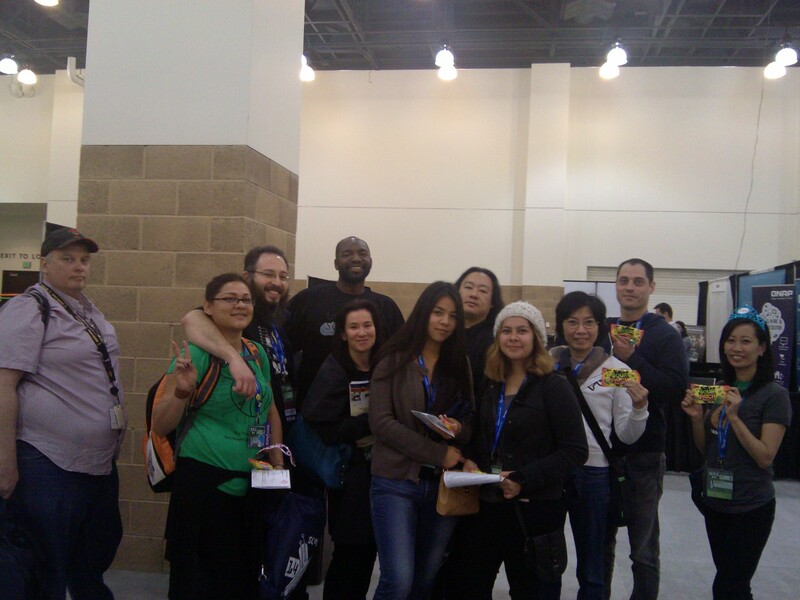 LinuxChix LA @ SCaLE 14x!!!!!!!!!!!!!!!! 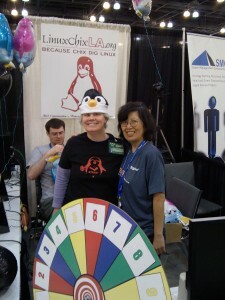 LinuxChix LA @ SCaLE 14x!!!!! 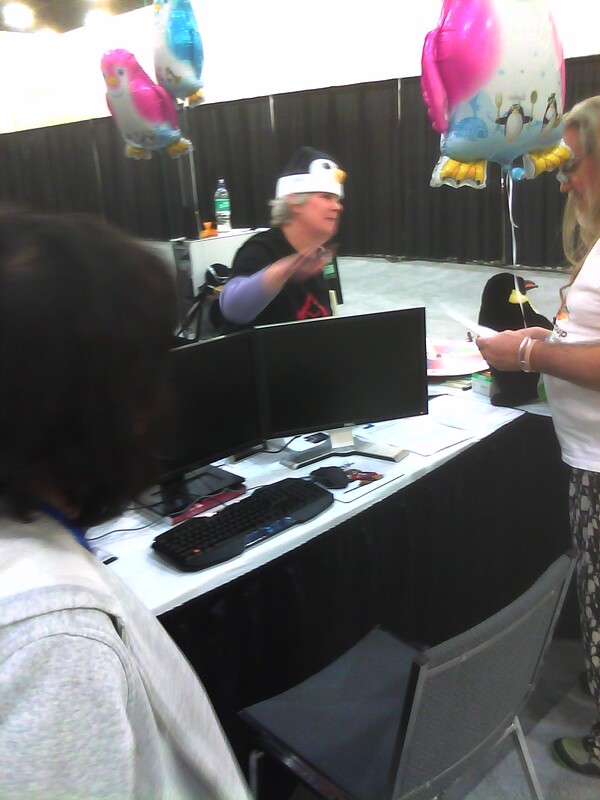 And here is Alan Williams’s, fellow friend and volunteer LinuxChix LA Booth Babe 😉 beautiful time lapse video at our LinuxChix LA booth 🙂 !!!! 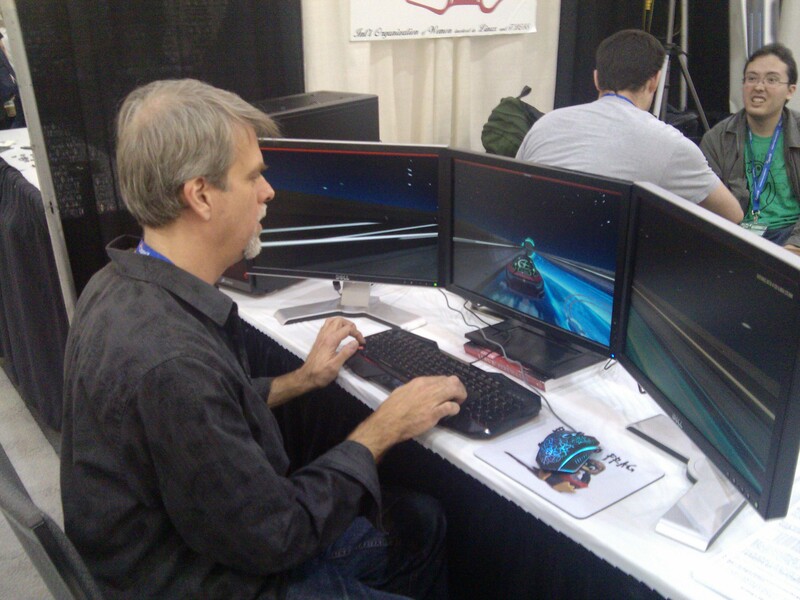 My 3 Monitor Red Tux Gaming Rig on display was built for under $400 dollars, which includes the $180 dollars for 3 monitors! 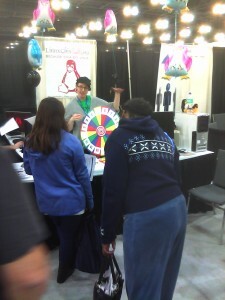 Spin the Wheel O’ Swag!!!!!!!!!!!!!! 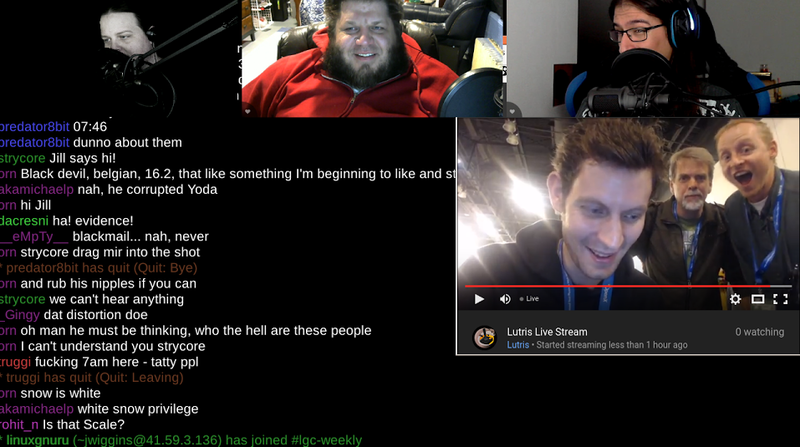 Strycore, Steve & Mir on LGC!!!!! Mathieu (strycore), My husband Steve and Me streaming from SCaLE 14x Game Night on Mathieu’s laptop via Lutris to LinuxGameCast!!!!! 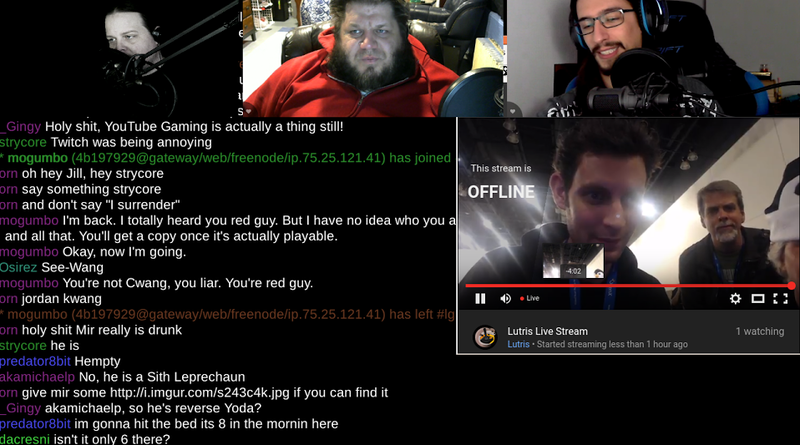 Mathieu (strycore), My husband Steve, Me (jill_linuxgirl) and Patrick (Mir) streaming from SCaLE 14x Game Night on Mathieu’s laptop via Lutris to LinuxGameCast Weekly!!!!! 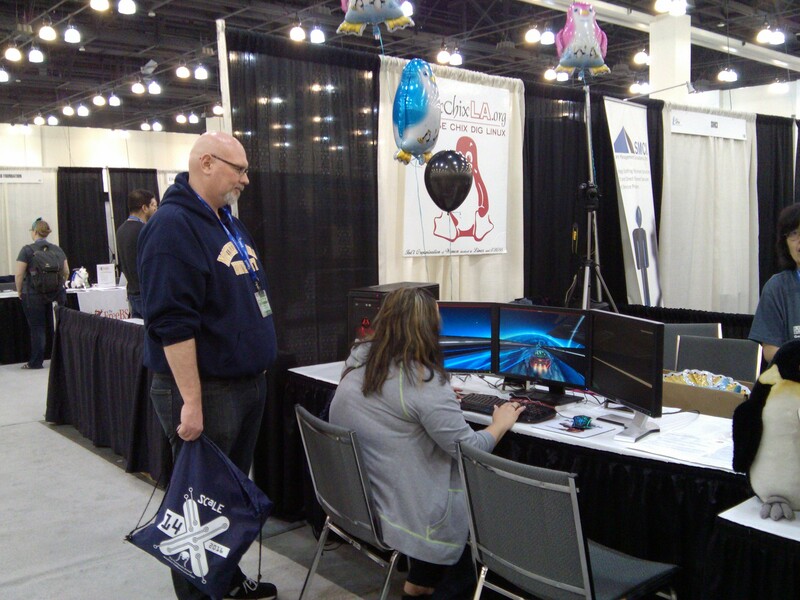 And also Steve, Jill and Betty were spotted in the wild @ SCaLE 14x by Chris LAS and Noah 🙂 Check out the fun segment from the SCaLE expo hall floor at 1:29mins! 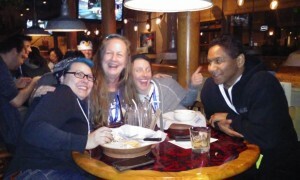 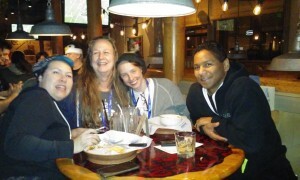 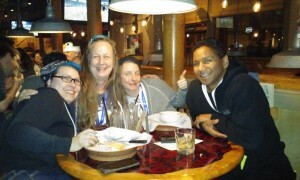 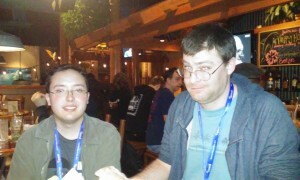 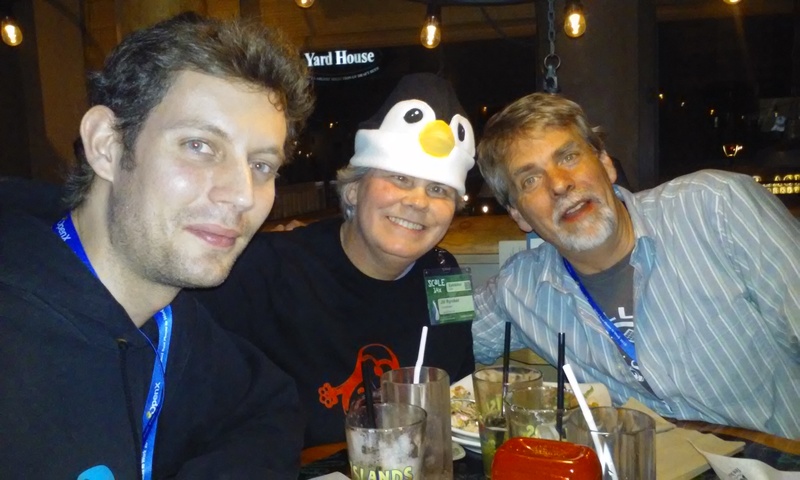 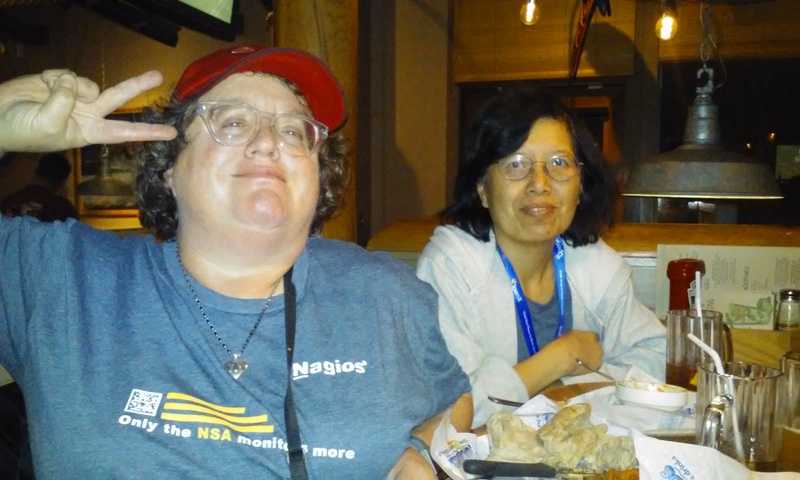 More LinuxChix LA @ SCaLE 14x Dead Dog Party at Islands 1-24-16! 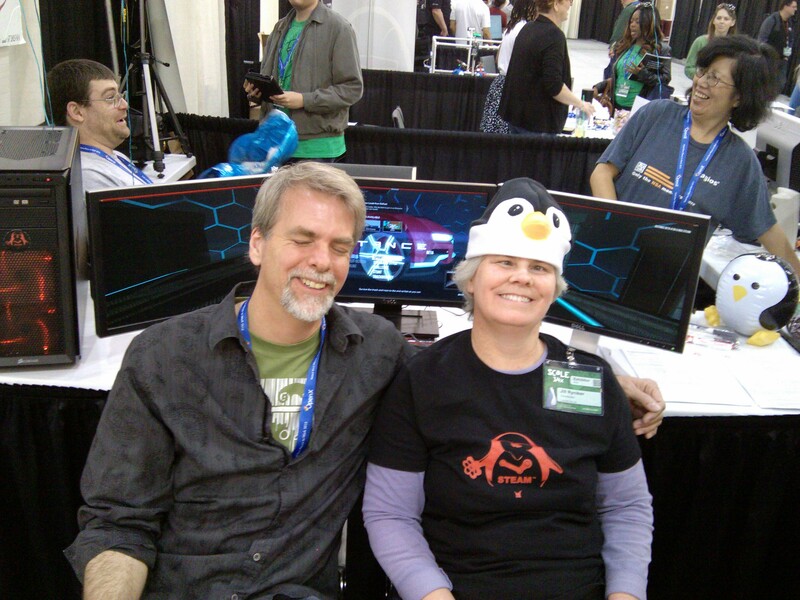 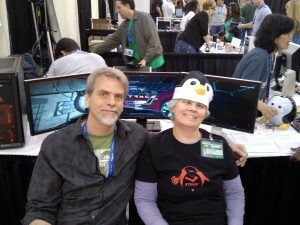 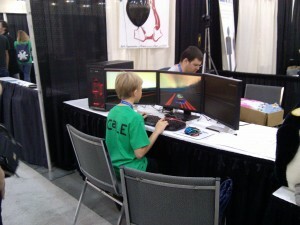 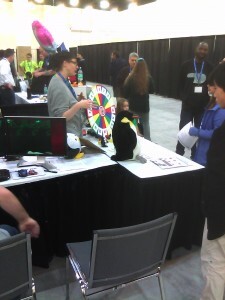 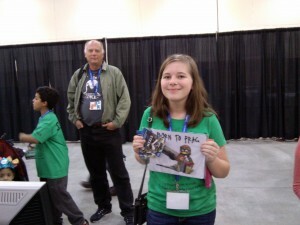 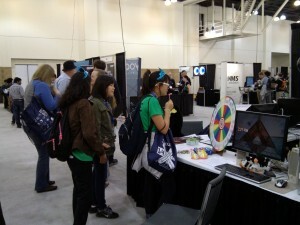 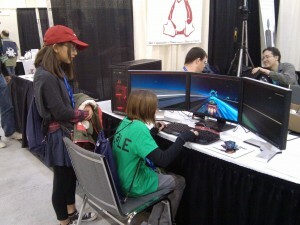 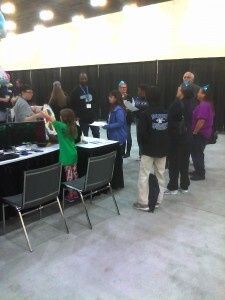 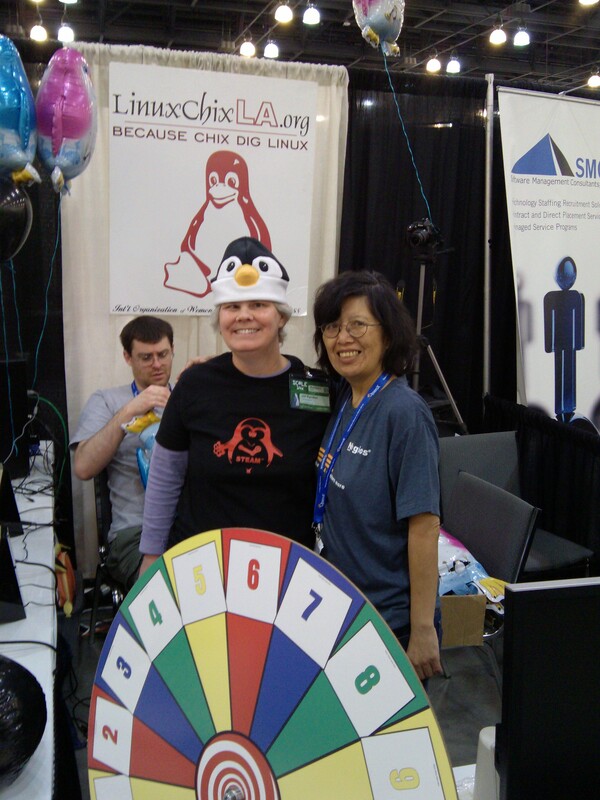 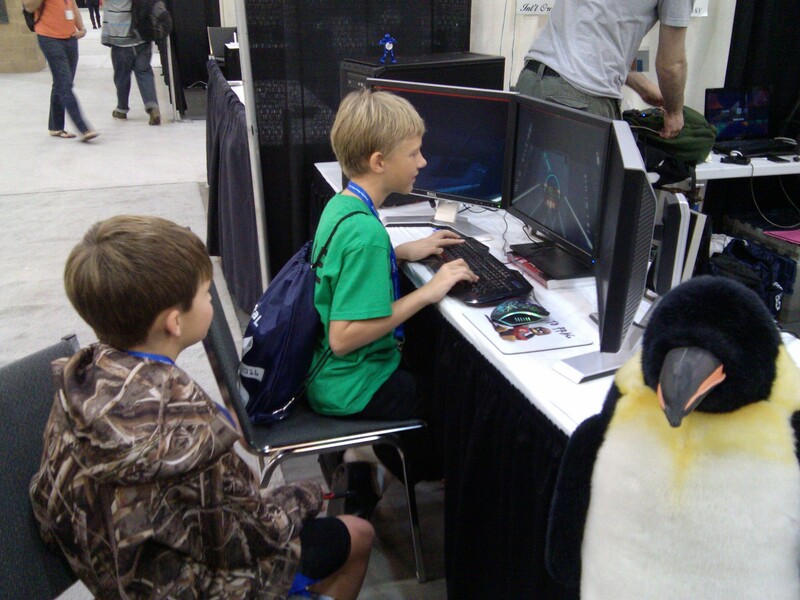 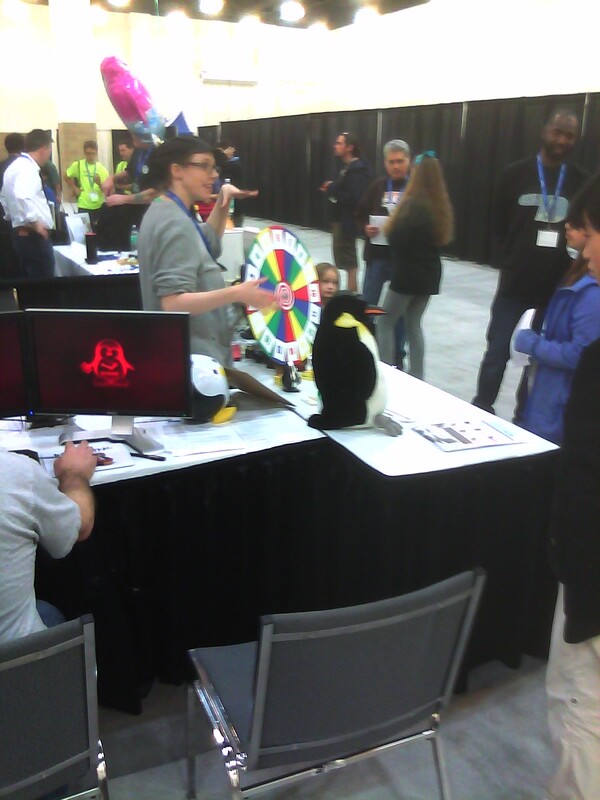 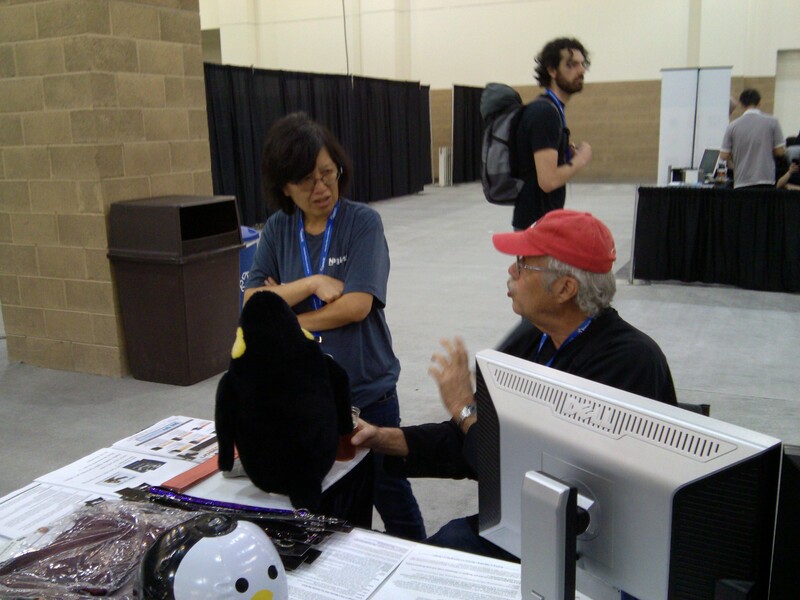 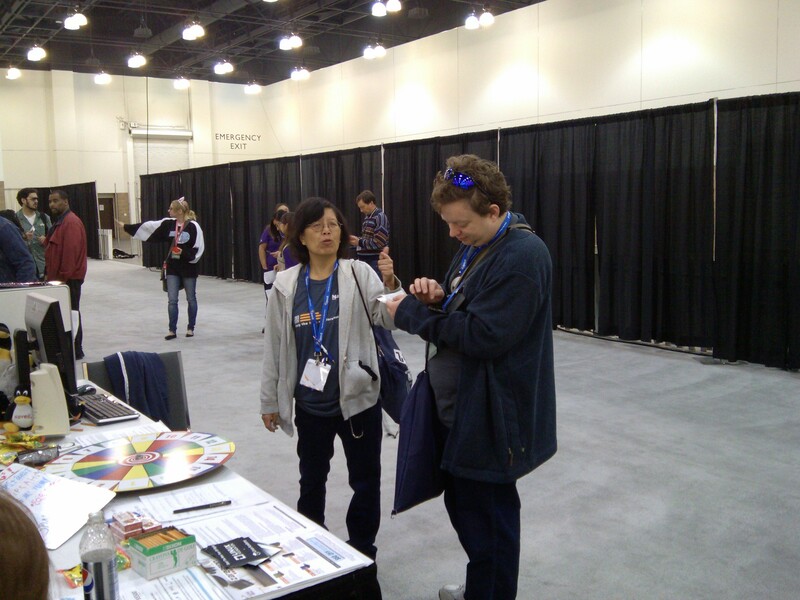 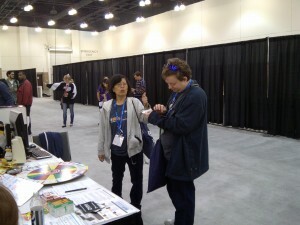 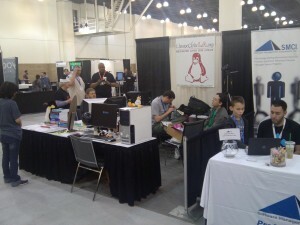 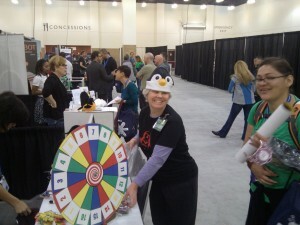 More pics from our LinuxChix LA booth on Saturday @SCaLE14x! 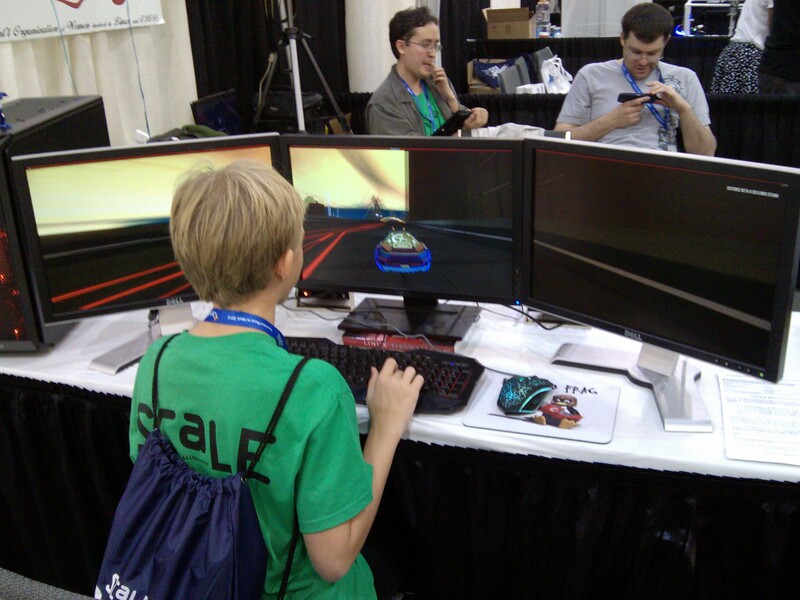 This entry was posted in SCaLE14x, You Did What? 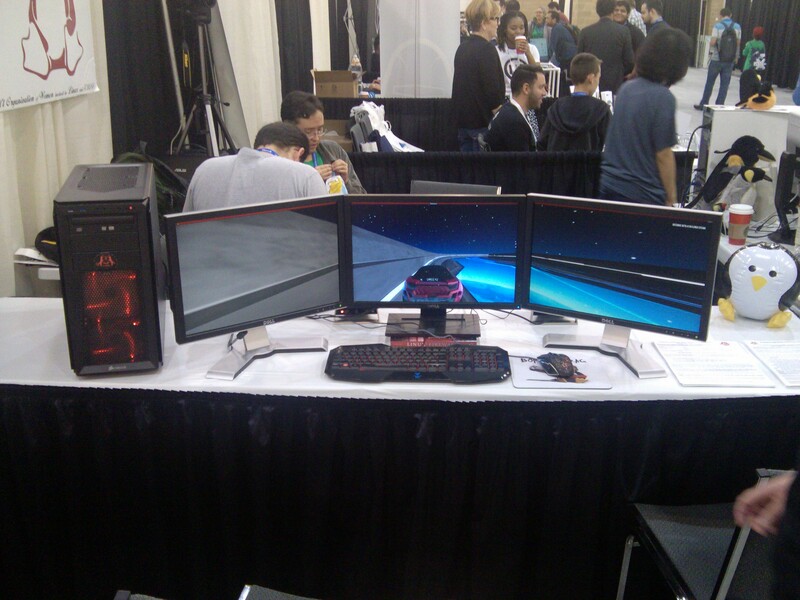 and Where? Bookmark this article LinuxChix LA @ SCaLE 14x!!!!!!!!!!!!!!!! 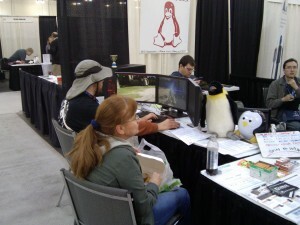 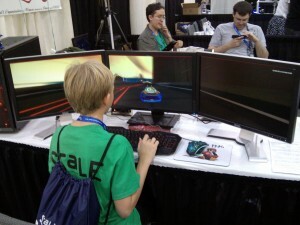 SCaLE 14x LinuxChix LA Present Multi-monitor and Multiplayer Games on Linux & The 3 Monitor Red Tux Gaming Rig on display was built for under $400 dollars, which includes the $180 dollars for 3 monitors! 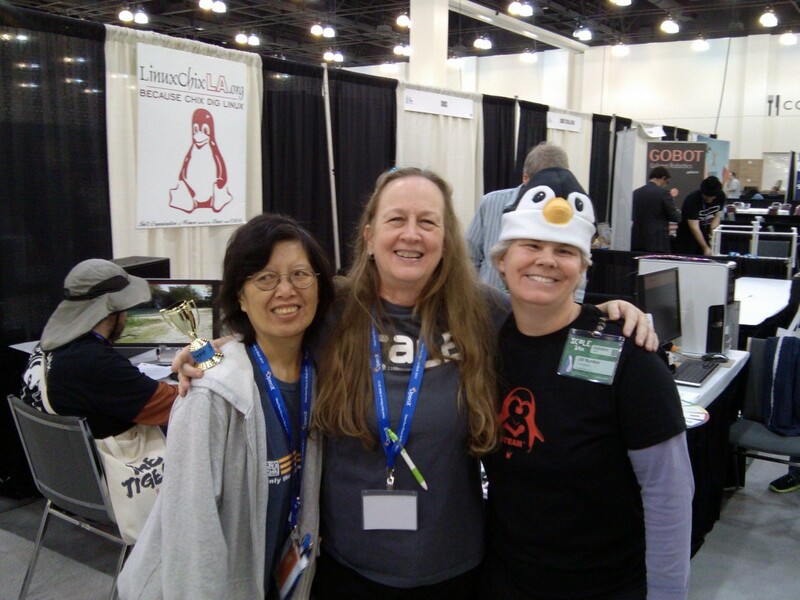 Keila Banks, Our LinuxChix LA Super Star in the latest Linux User & Developer Magazine :-) !!!!!!!!!!!!!!!!!!!!!!!!!!!!!!!!!!! 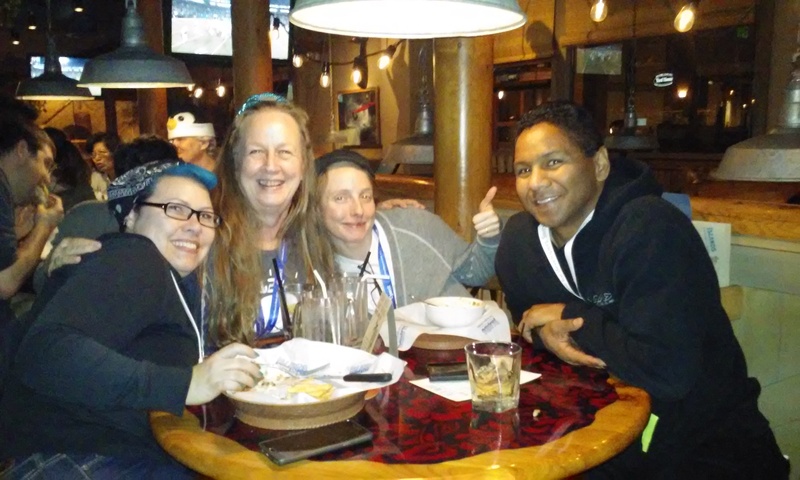 Digital Ocean for their support. 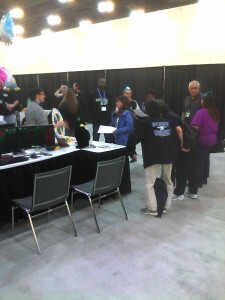 Thank you Verizon Digital Media Services for hosting our events. 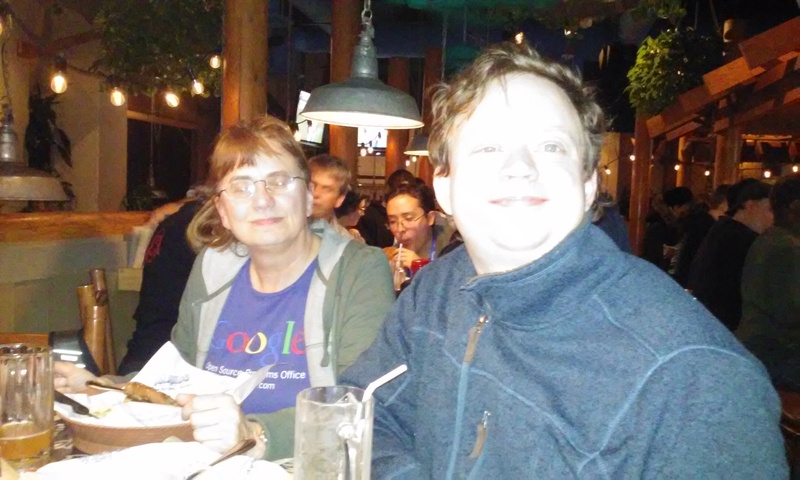 of the O'Reilly Partner Program. 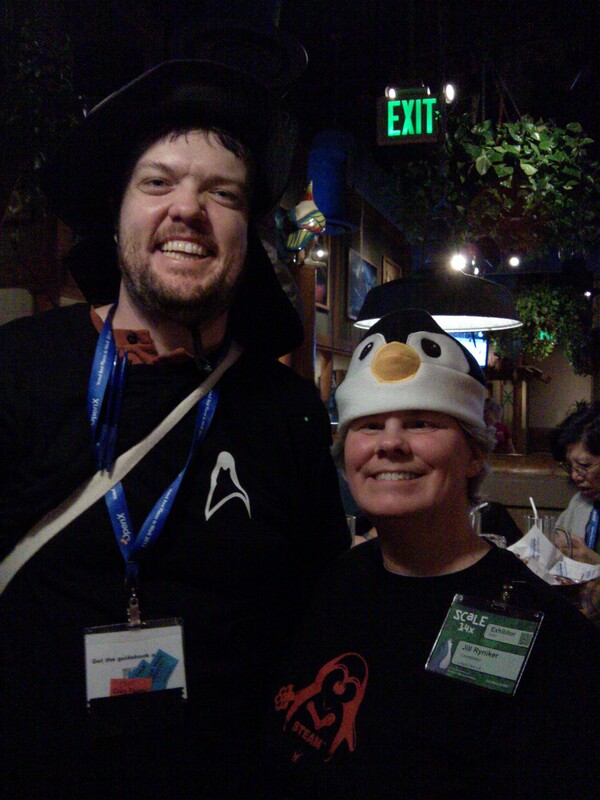 LinuxChix LA thanks Linux Academy for their support. 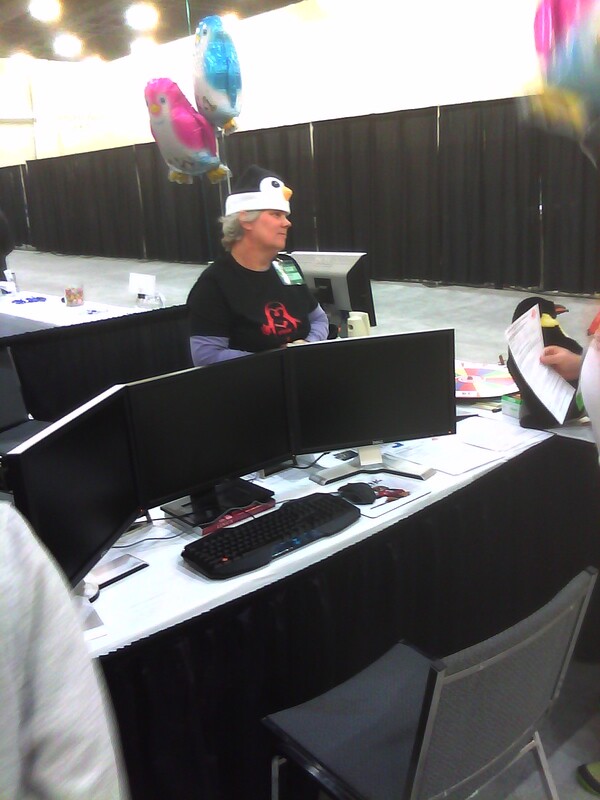 LinuxChix LA run the Kids on Computers Booth @ OSSummit NA LA 2017!!!! 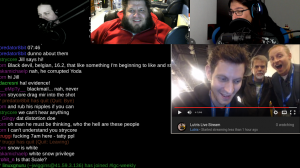 You Did What? 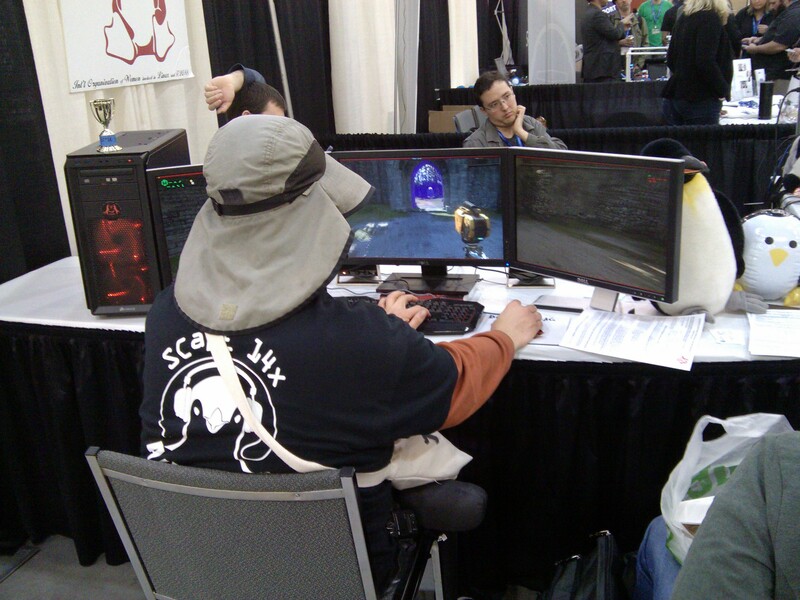 and Where? 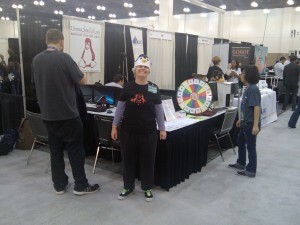 Copyright © 2019 LinuxChixLA. All rights reserved.